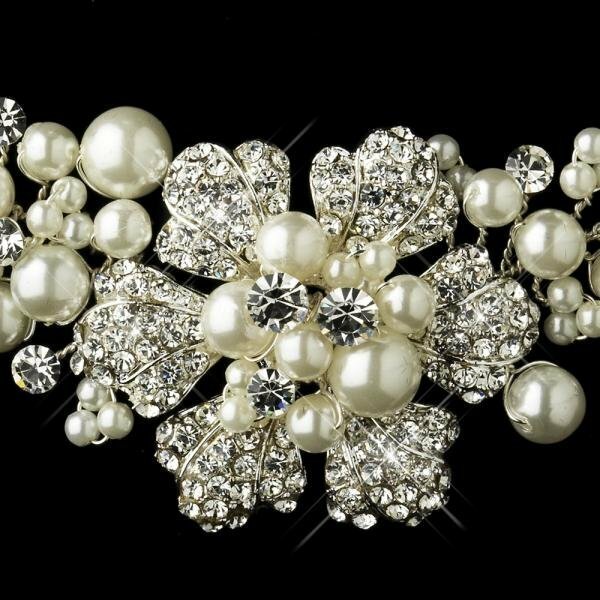 This lovely necklace set features clusters of luminous ivory faux pearls and dazzling clear crystals with a charming silver plated flower in the centre adorned with more sparkling clear crystals and ivory faux pearls. The earrings imitate the gorgeous style of the necklace with a dangling cluster of ivory faux pearls and clear crystals. 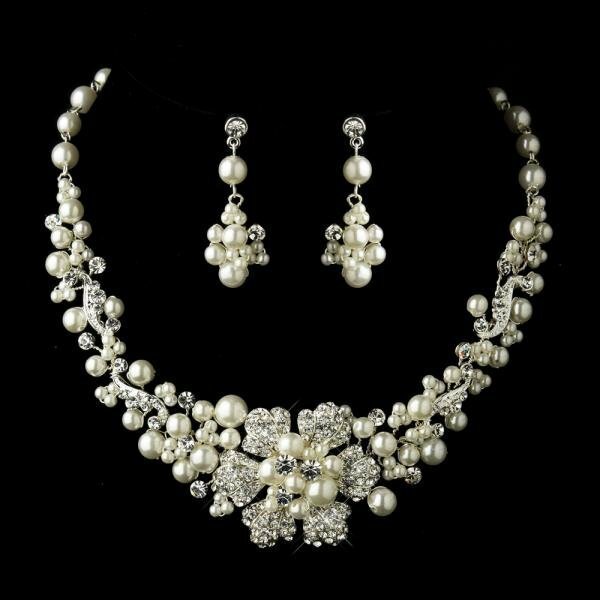 This set is an ideal choice for the classic or traditional bride with an ivory wedding gown.